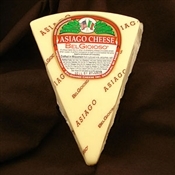 Aged a minimum of 12 months, BelGioioso Aged Asiago Cheese has an extra aged flavor that is both sweet and nutty. 5#s of wedges averages 8-9 individual wedges. 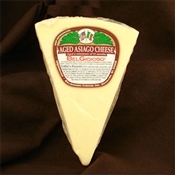 Aged a minimum of 12 months, BelGioioso Aged Asiago Cheese has an extra aged flavor that is both sweet and nutty. Aged at least five months, BelGioioso Asiago Cheese, a sweet and nutty cheese, has a wonderfully pronounced flavor that is perfect for snacking. A semi-hard table cheese, made from part skim milk, it is easily shredded into your favorite recipes or served cubed with beer or a full-bodied red wine. 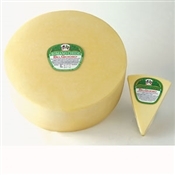 Ten pounds of BelGioioso Asiago Random Weight Wedges (approximately 16-19 wedges) offer an approximate savings of 5.75 from individual wedge pricing. 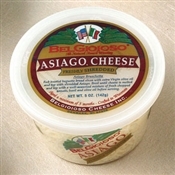 Two pounds of BelGioioso Asiago Cheese Random Weight Wedges (approximately 4-5 wedges) offer an approximate savings of $1.97 from individual wedge pricing. Aged at least five months, BelGioioso Asiago Cheese, a sweet and nutty cheese, has a wonderfully pronounced flavor that is perfect for snacking. A semi-hard table cheese, made from part skim milk, it is already shredded for your favorite recipes. Aged at least five months, BelGioioso Asiago Cheese, a sweet and nutty cheese, has a wonderfully pronounced flavor that is perfect for snacking. A semi-hard table cheese,made from part skim milk, it is easily shredded into your favorite recipes or served cubed with beer or a full-bodied red wine. 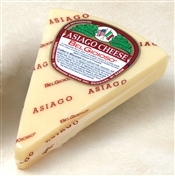 Five pounds of BelGioioso Asiago Cheese Random Weight Wedges (approximately 9-10 wedges) offer an approximate savings of 3.25 from individual wedge pricing. Aged at least five months, BelGioioso Asiago Cheese, a sweet and nutty cheese, has a wonderfully pronounced flavor that is perfect for snacking. A semi-hard table cheese, made from part skim milk, it is already shredded for your favorite recipes. best of bold, Italian cheeses. 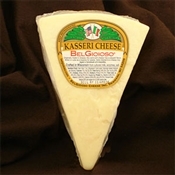 BelGioioso Kasseri Cheese is a semi-soft cheese that offers a slightly piquant flavor with a tartness that has a wide range of uses to delight the tastebuds. After four months of aging, this semi-soft cheese develops a slightly piquant flavor. Made from whole cow's milk, this table cheese can be cubed,crumbled or shredded to add interest to salads, sauces and cheese trays. Because of its unusual ability to stay solid when heated, Kasseri can be served fresh from the grill on skewers, mixed with oiled sauteed veggies. This makes a sensational side dish or a complete meal served with a simple salad. 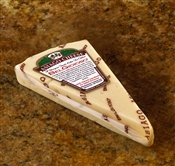 BelGioioso Medium Provolone cheese adds a rich, creamy texture and a nutty flavor that elevates a dish without overpowering it. As one of the most popular and palatable Italian cheeses, Provolone cheese adds a soft, savory appeal with a slight bite to nearly any dish. 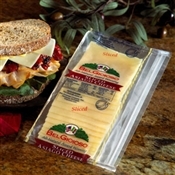 With a firm consistency and a soft texture, BelGioioso Medium Provolone can be sliced, shredded, grated and more. Slice thin or thick and add it to a sandwich, melt over a sub, cut up small slices on crackers, fruit or meats, or grate over pasta or salad to add richness and subtle flavors. 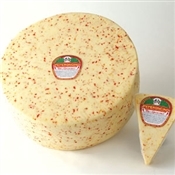 The BelGioioso Peperoncino cheese wedge blends the award-winning BelGioioso Asiago cheese with small flakes of red pepper to make a mild cheese with a spicy kick. Cubes or slices of Peperoncino cheese add color and zesty flavor to cheese plates or other appetizers and turns up the flavor on cheese sauces, dips, pasta sauces and more. Firm Peperoncino cheese may be cut off in slices to add a hot zing to sandwiches, grated over pasta or breadsticks, or melted into lasagna. For a simple and popular party starter, spear a BelGioioso Peperoncino cheese cube or slice with cured meats or olives. All Wheels ordered by noon on Thursday will be ready for shipment the following Monday. 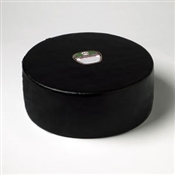 Your wheel is ordered specifically for you so you may request that it is cut into 4 quarters or 2 halves in the comments section! BelGioioso Romano is a hard,sharp cheese perfect for grating on pasta,soups and salads. 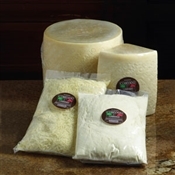 Aged a minimum of 5 months,this hard grating cheese,made from part skim milk,possesses a strong, sharp flavor that makes it one of the most popular Italian cheeses. Grate it on pasta, soups or salads to add full Italian flavor to any of your Italian dishes. Aged at least five months, BelGioioso Asiago, a sweet and nutty cheese, has a wonderfully pronounced flavor that is perfect for snacking. A semi-hard table cheese, made from part skim milk, it is easily shredded into your favorite recipes or served cubed with beer or a full-bodied red wine. Wheels can be cut in half or quarters. Allow 2 days for special orders. You can request to have this cut into quarters or two halves. Spiced with red peppers, BelGioioso Peperoncino Cheese entices your tastebuds for a sharp-hot and flavorful experience. Similar to Pepato, Peperoncino blends the mellow Asiago flavor but accentuates the hot taste of red peppers. A zesty cheese which spices up salads and party trays, it is aged a minimum of five months for a sharp-hot flavor. Please choose UPS Ground shipping for this item. This choice will still provide Next Day Air delivery in the summer months. Any items not included with the shipping offer will be charged accordingly. This smooth tasting BelGioioso Sharp Provolone is aged a minimum of 7 months for a full, tangy flavor. It's a perfect table cheese that can be cubed for a sharp flavored snack, melted on your favorite sandwich or shredded into your favorite Italian recipe. If you do not see the size you are wanting please contact us direct at 800-717-9020 for information on special orders. Want to impress your guest with a salad to brag about�you must add our Crumbly Gorgonzola. It is blue-veined with a full, earthy flavor and perfect for everything from salads, sandwiches to stuffing olives for a great tasting Martini. 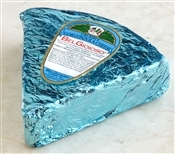 BelGioioso Crumbly Gorgonzola is aged over 90 days and is both firm and crumbly. This ivory-colored cheese with blue-gray veins has a stronger flavor than our Creamy Gorgonzola. Serve crumbled onto salads. blended into dips or served in slices with pears, apples and walnuts as an amazing appetizer or dessert. BelGioioso Italico Cheese gets its creamy texture and earthy flavor from its careful blending and curing process. Made from fresh milk sourced from local farms, BelGioioso Italico cheese is made in small batches to capture the fullest flavor in each wedge. While it is aged for 90 days, the pink rind develops from hand washing with salt and water. The rind keeps the cheese fresh and holds the earthy flavor in until it is ready for use. 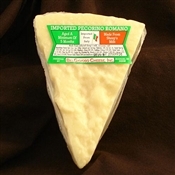 BelGioioso Italico Cheese melts evenly into a velvety spread, or you can cut off slices of this soft cheese to add unique flavor and zing to sandwiches, paninis, pizzas, salads and more. Special Orders: Orders placed by Thursday at midnight will be shipped the following Monday. 14-18 Random Weight Wedges equal 10 pounds of BelGioioso Aged Asiago.